A stutter in the rollout of Jack Dorsey’s novel Square cellphone credit card system may mean it’ll get swallowed soon by emerging tech. The Twitter cofounder’s tool has been in and out of the news for months, largely because it appears blindingly simple, and comes with promises of radically reinventing the mobile credit card payments scene. The device is incredibly straightforward: It’s a tiny plastic gizmo with a magnetic strip card reader inside, a smattering of circuitry, and a standard 3.5mm headphone jack, designed to slide into your smartphone. When you swipe a card through it, it sends a specially encoded audio file through the microphone line of the phone into a specialist app that decodes the strip data and does all the electronic funds transferring that a bulkier wireless standard card processing machine does. Square got a beta test launch in December, with a planned full-scale rollout that was supposed to have happened by now, but which was delayed indefinitely in June thanks to hardware issues and a need to strengthen the software’s anti-fraud coding. Now it’s back on track, according to a report in the Wall Street Journal, and that full-scale launch may happen soon. But Square could be nothing more than a brief curio on the mobile payments scene, its time in the limelight limited by the delays in getting it to launch while competing technologies arrive quicker than expected. 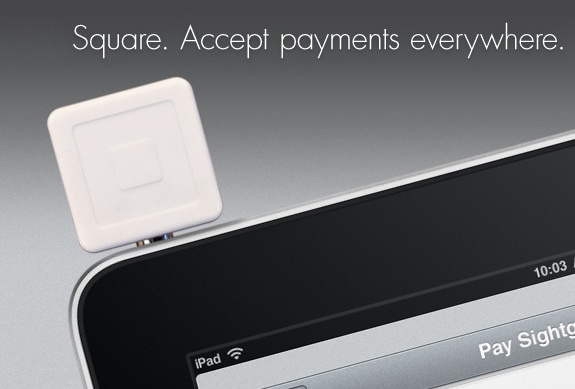 The biggest challenge to Square are smartphones themselves. Square requires vendors to have a smartphone, and the customer to have a standard credit card, but we know that smartphones are becoming ubiquitous and soon a majority of cell phone owners (themselves a majority of the population) will own them. When this happens, apps like Bump will come into their own. This is a clever iPhone app that lets users physically knock their phones against each other to initiate a quick exchange of data. The app detects you’re both in the same location, and have bumped your phones, and then pushes data wirelessly between the two devices. At first this was just items like photos or contact details, the swap made more conveniently than setting up an specific wireless or Bluetooth link. But back in March PayPal integrated Bump’s tech into its iPhone app, and transformed into a mobile payments system that requires no carrying of a physical card, or any sort of smartphone peripheral. It’s a tiny taste of the future, where direct credit card payments could easily be carried out using a similar system. Meanwhile, the notion of wireless credit cards, exploiting RFID tech, is also something to bear in mind. It’s a technology that’s very much en route, and Apple in particular has been pushing to patent numerous clever and enhancing aspects of the technology in order to transform the mobile wireless payments scene. Lastly, remember that while European credit cards still carry a magnetic strip, their tech has long since pushed beyond the U.S. credit industry’s by incorporating digital chips into each card, with a more secure PIN identification system. The revolution happened pretty swiftly, and there are even moves to do away with the old-fashioned and insecure magnetic strip entirely. Given the speed of the chip-and-PIN change, it wouldn’t be hard to see the card industry very rapidly embracing a new tech like RFID.